When the only choices available to players where hybrids or tough to hit long irons most players made the choice to abandon long irons and switch to hybrids. That included even the best players in the world. These days the amount of technology manufacturers are able to incorporate into their irons is astonishing. All players, and especially better players, will appreciate a wider availability of more forgiving utility irons that rival the performance and forgiveness of a hybrid. In 2018, we saw an explosion of utility irons on the market. Manufacturers have usually produced a driving iron, but utility irons differ from that old 1980s butter knife called a 2-iron. Interestingly, these clubs vary quite a bit in their shape and construction, giving players a plethora of visual options to choose from. Utility irons are also built around forgiveness, while doing everything they possibly can to visually retain the look of an iron. These were my favorite utility clubs of 2018. Starting with the utility iron I gamed in my bag all year, the Mizuno Fli-Hi is a workhorse. I leaned on this club quite a lot all season long. As a longer hitter, I found the 2-iron’s uses quite dynamic. The Fli-Hi is perfect for taking trouble out of play off the tee on par 4s, getting aggressive attacking the green in two on long par 5s, and in situations when I found myself in a bit of trouble off the tee, positioned well back. The wide sole and low CG makes elevating the ball from the fairway and off the tee simple. Tungsten mass is concentrated low and toe-side, which promotes launch angle and increases the sweet spot. A 1770 Maraging Steel Face is an extremely strong alloy that creates a thin, hot face. I chose to stick with the stock shaft (KBS C-Taper Lite), which has helped me remain smooth with my tempo. Even though there are game improvement elements to this utility iron I have no problem working the ball to the right or left. As the saying goes, “Nothing feels like a Mizuno”. The Fli-Hi is an MMC construction, but it is still buttery smooth at impact, it is also incredibly long. During the summer months I consistently hit the Fli-Hi 260-270 yards off the tee. With that kind of distance capability built into the accuracy of an iron, I suspect many more players will be ditching their hybrids in favor of these types of clubs. Just make sure Mizuno is on your short list. The GAPR story is a cool one. With the PGA visiting Carnoustie for the Open Championship in 2018, Taylormade staffers (Tiger Woods), wanted a utility club they could use off the tee on the fast links conditions. When an unseasonably warm streak hit the UK in the month leading into the playing of the Open, the fairways became completely baked out. Players took advantage of the roll-out they could get from utility clubs hitting 300+ yard shots off the tee. When it came time to release the GAPR to the public, TaylorMade created 3 versions, the LO, MID and HI. At the end of the day, I found the MID to offer the greatest versatility for the largest range of players. TaylorMade expanded their arsenal of clubs that utilizes SpeedFoam to include the GAPR. Featuring a thin C300 steel face, the hollow-clubhead construction filled with SpeedFoam increases ball speeds and overall feel. Both the LO and MID have an iron-like look to them, but the location of the weight screw on the MID (on the sole) makes it noticeably easier to hit than the LO. The MID also has a slightly wider sole to promote forgiveness and allows a little more weight to be placed lower and away from the club face. The Speed Pocket enhances forgiveness on strikes low on the face and a loft sleeve gives players ultimate setup control allowing +/- 1.5° of loft adjustability that concurrently adjusts the lie. When I hit this club I knew based on its shape and performance it would be the most popular of the three models. It is as good of an option off the tee as it is into a green on a par 5. The all-black look and the stock KBS Tour Hybrid shaft make this a complete package. 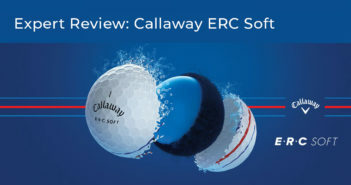 Great story, great product, great results on the course. Before the original Titleist T-MB irons were released in the United States, Titleist had introduced a similar iron in Asia that was very popular. Designed with forgiveness as a top priority, the tungsten weights on the heel and toe create a highly stable utility iron that keeps a compact profile. The 718 T-MB utility irons are preferred on professional tours around the world due to their muscleback design and high launch. Another distinguishing feature of the T-MB lineup is that players can opt to play a full set of T-MB irons. These irons are forgiving but also designed for better players. 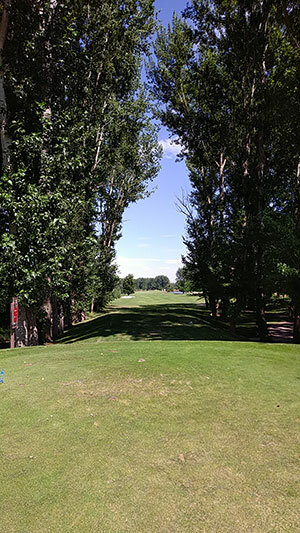 Low, wide weighting helps produce high, spinning shots that allow these players to take advantage of a good drive and attack a par 5 or find that perfect distance off the tee on a short par 4. This is a classic iron for classic players. One of my favorite sets of irons to test all season long was the Callaway X Forged 18 irons. The UT irons look like a suped-up version of the regular X Forged 18 irons. This utility is for high level players with precision accuracy. X Forged 18 irons are designed to locate the CG behind the hitting zone, not low and back. Unlike most of the irons on this list which are designed around forgiveness, the X Forged 18 UT’s main objective is accuracy and a low, piercing trajectory. If you are looking for ultimate workability and shot-making ability with a pure forged feel, look no further. A utility iron is perfect to use on a narrow tee shot, when you need extra precision. The U65 utility iron may be lesser known, but it has been a popular club on the professional tours, too. 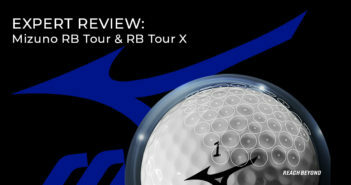 Also a muscleback design, the U65 has a SUP10 face insert for higher ball speeds. The U65 is a hollow construction, but that allowed Srixon to reposition weight low in the head to promote a quick launch. In limited testing, I enjoyed the look and feel of the U65 utility iron. It sat like a normal iron and doesn’t have an overly bulky frame. Larger, double laser milled grooves promotes consistent spin and improves contact, especially in wet conditions. Another great option off the tee or into greens from distance, better players who will find the most benefit from this utility iron.